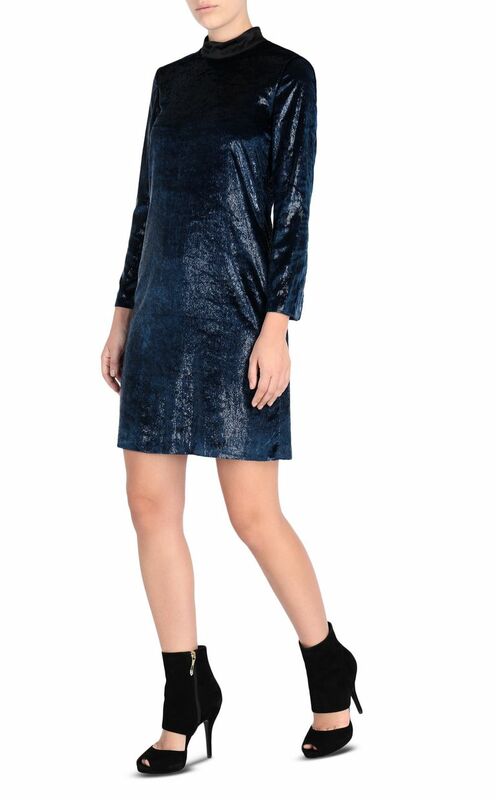 Mini dress with a high neck and long sleeves. 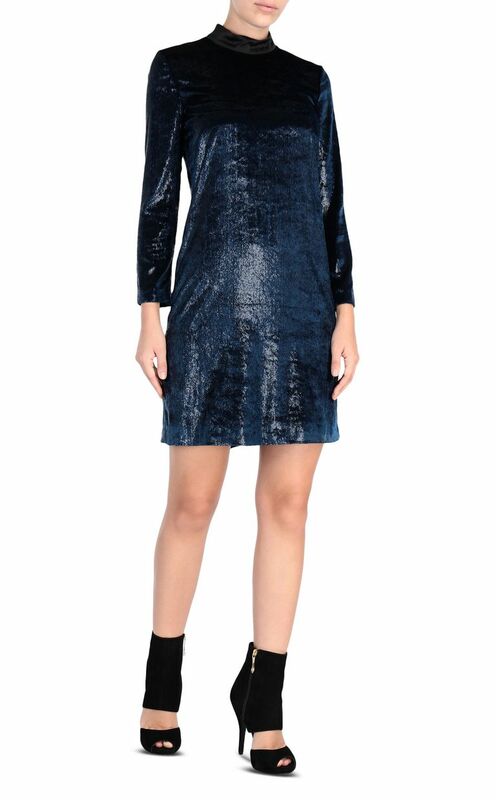 The all-over lurex velvet look makes this the perfect choice for special occasions. 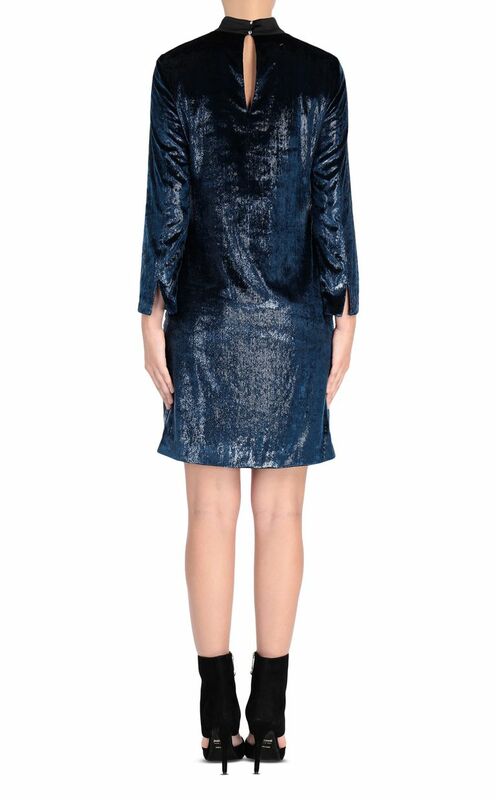 Styled with a slightly flared silhouette in soft satin fabric with button fastening at the back of the collar. High-shine style in a slightly oversized fit.